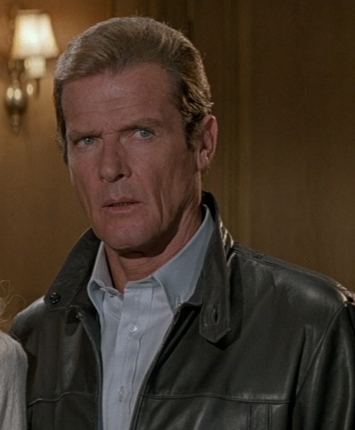 Episode 18.5 – Somebody Destroyed One of Roger Moore’s Horcruxes | Radio vs. the Martians! This entry was posted in New Episode and tagged 007, baywatch nights, casino royale, clint eastwood, daniel craig, david hasslehoff, dirty harry, everything is better with a queen soundtrack, fan fiction, flash gordon, greg hatcher, grim and gritty, horcruxes, hulk hogan, james bond, live and let die, logan's run, pew pew lasers, pierce brosnan, point five, post-mortem oneliners, queen, red dead redemption, roger moore, ryan chaddock, sherlock, sherlock holmes, slash fiction, star trek, star wars, timothy dalton by Mike Gillis. Bookmark the permalink. Loved it, almost as much as the regular episode – I could listen to you guys shoot the breeze all day. And Greg’s description of the Logan’s Run TV show is quite accurate; I was a few years younger than him when it aired (maybe 8) so I don’t really remember specific details about the episodes, but I do recall how mundane and sort of dull it was. I don’t think it was really that much better than this live-action Saturday morning show called Ark II, which aired at about the same time. By the way, I have to commend Todd Maxfield-Matsumoto on the theme music. It’s so perfect for the show, and it’s completely awesome on its own. In the interests of full disclosure, I suppose I should admit that of the various post-apocalypse WAGON TRAIN-inspired science-fiction TV shows of the 1970s, we actually own the DVDs of:GENESIS II, PLANET EARTH, PLANET OF THE APES, LOGAN’S RUN, and THE FANTASTIC JOURNEY. I gather you can get THE STARLOST and ARK II on DVD, too. Of them all, PLANET EARTH is my favorite and I occasionally show it in my Young Authors class; the kids love it. Pity it never went to series, it would have easily outclassed all the others. I’ve got everything on your list, except Fantastic Journey. However, I would put Genesis II above Planet Earth. I just like the way it was handled, better. I missed out on Logan’s Run, since it was on CBS. I grew up in Central Illinois and all three network affiliates were in different cities. ABC was in Decatur, about 20 miles to the east. NBC was in Springfield, about 30 miles to the west CBS was in Champaign-Urbana, about 60 miles to the east and the signal came through very weak (the PBS station was there, too, at the Univ. of Il.) Since we didn’t have an antenna on the house and our tv was kind of old, we couldn’t really tune in CBS. So, I only got to see their shows if we were visiting relatives, until we got a better tv, with a better antenna set up; and, later, cable. I bought the Logan’s Run tv set, since it was cheap and I got my employee discount, at Barnes & Noble. Watching it, I could see the Star Trek trappings all over it, lus Planet of the Apes. Sure enough, there was DC Fontana’s name in the credits. I have to agree about sci-fi tv in the 70s (and early 80s); you took what you could get and hoped it would get better. I remember watching the pilot of Space 1999, really excitedly, then feeling let down at the end. I watched the next couple of episodes and was bored to tears. I tried to watch it again, on Netflix and could never get past those first 3 episodes. Same with UFO. I bought the set (cheap); but have only watched about a third. It gets rather repetitive. I remember sitting through things like The Phoenix, Otherworld, and the Man From Atlantis, hoping that this episode might be good. No dice. The Six Million Dollar Man was about the apex for 70s sci-fi; for the first 3 or so seasons, anyway. Got to agree about Moore; great as the Saint, not so hot as Bond, though I like several of his films. He never seemed deadly enough. By For Your Eyes Only he was looking pretty tired and they even make a joke of it by his pushing Bibi away. By View to a Kill, he looked like it was past time for him to go to the Village. Most people didn’t realize that he is older than Sean Connery, who wasn’t looking like a spring chicken in You Only Live Twice, let alone Diamonds Are Forever; or, god forbid, Never Say Never Again. I’m right there with you on the vigilante and pulp fiction. I can’t stand The Punisher, but I ate up Mack Bolan, watched the Stallone and Schwarzenegger films, Bronson and Eastwood, John Milius films; you name it, yet I am a liberal. However, I came from a middle of the road to center-right household and was kind of middle of the road, myself, until my military days. I was socially liberal; but big on the whole anti-communist worldview. However, more and more, my military experiences soured me on conservative foreign policy, pushing me firmly in the liberal camp. Despite that, I still enjoyed some right wing entertainment, provided it didn’t go too far overboard. I’d second a show about vigilante entertainment and also one about 70s and 80s sci-fi tv. I kind of have the sense that the panle would probably be more familiar with that realm of the 70s, than something like 70s police and detective series, which would be equally awesome: Rockford Files, Columbo, McLoud, MacMillan and Wife, Canon, Streets of San Francisco, Police Woman, Baretta, Starsky and Hutch, Police Story, the Rookies, Heck Ramsey, SWAT, Charlie’s Angels (plus 60s/70s crossovers, like Ironside, Barnaby Jones, Manix, etc…).